MidwayUSA’s 1,050-page catalog features most of these products. The new Master Catalog began mailing to current Customers in February. For new Customers, Master Catalog #34 is free with the first order. If a Customer is not yet ready to make a purchase, the catalog can be mailed for only the cost of shipping. 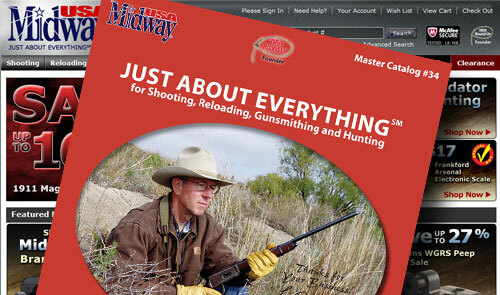 For more information about MidwayUSA or to obtain a copy of MidwayUSA Master Catalog #34, please visit www.midwayusa.com or call 1-800-243-3220.